Whether you are expecting your first baby or your fifth, you will likely have some questions and need a trusted place to go for answers. Our team is always available to our patients and walks through the pregnancy journey with you from start to finish. When you choose Rittenhouse Women’s Wellness Center for your obstetrics care, you will have peace of mind that you and your baby are in excellent hands. Our practice of all female physicians and nurse practitioners are dedicated to providing supportive obstetrical care while empowering our patients through education. Our collaborative partnership with Jefferson Health allows us to provide our patients with comprehensive obstetric care. 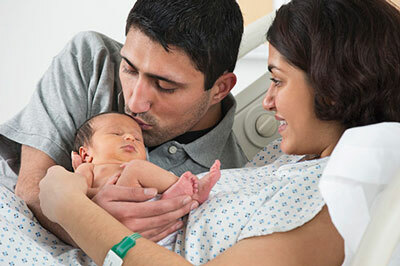 With access to Jefferson’s OB services and specialists, and the convenience of delivering your baby at Thomas Jefferson University Hospital in Center City, you will receive exceptional, personalized and seamless obstetrical management and care. Women with access to quality prenatal care have healthier babies and fewer complications. Our knowledgeable providers are up to date on current research and recommendations, and are here to answer your questions and guide you through your pregnancy. Prior to pregnancy, our providers offer personalized counseling and testing to help you optimize your health so you can start pregnancy on the right track. We offer compassionate care for women with infertility struggles or with a history of pregnancy loss. If your pregnancy is high risk, we will refer you to Jefferson Health for your obstetrical care. Jefferson specialists can help you manage or reduce possible complications. Jefferson’s multidisciplinary team will provide you with the care you need throughout your pregnancy and delivery. We can continue to be your primary care provider and provide support along the way. Visit any of our providers to learn the most up to date options for contraception. If you are planning for pregnancy, make an appointment for preconception counseling and testing to insure that you start your pregnancy journey off on the right track. When should I start to see an obstetrician? What does high-risk pregnancy mean? What services are included in obstetrics? If you think you could be pregnant, you can take an over-the-counter pregnancy test and schedule an appointment with your trusted OB/GYN at Rittenhouse Women’s Wellness Center to confirm pregnancy and schedule your prenatal check-ups. Most women meet with their obstetrician for the first time approximately eight weeks after their last menstrual period. At your first appointment, your doctor will confirm your pregnancy and perform an exam to measure your overall health and wellness. They will also perform a pelvic exam and Pap smear, as well as an ultrasound if you’re unsure of how far along you are in your pregnancy. Your doctor will talk to you about what to expect during your prenatal checkups and let you know how often you should schedule your appointments. Typically, you’ll have prenatal appointments once every four weeks for the first twenty-eight weeks of pregnancy, then every other week from twenty-eight weeks to thirty six weeks. You’ll have weekly check-ups for your final weeks of pregnancy until your baby is born. 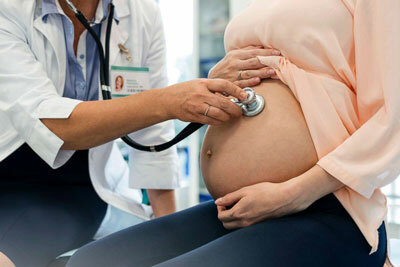 If your pregnancy is classified as high-risk, you’ll have more frequent appointments. High-risk pregnancies are those where there is an increased chance of a health problem for you or your baby. Most high-risk pregnancies are perfectly healthy. You just have more frequent appointments and a few extra tests so your obstetricians can keep a close eye on you and your baby’s health. Obstetrics includes all of your prenatal check-ups and screenings as well as support during your delivery. In addition to the standard tests like gestational diabetes, blood pressure monitoring, and ultrasounds, the team at RWWC also offers genetic screening tests. Our providers help women to have safe, natural deliveries.